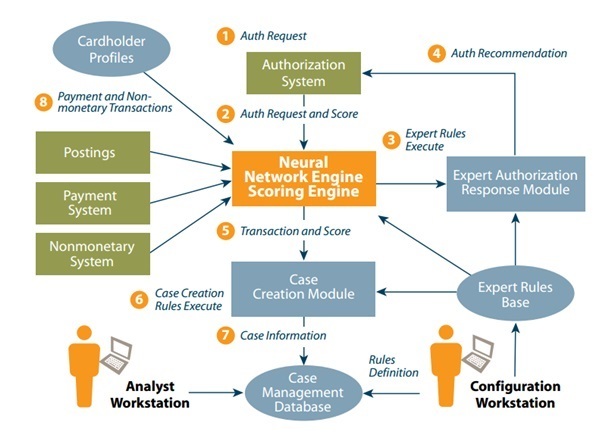 AI Fraud detection System using machine learning starts with gathering and segmenting the data into three different segments. The machine learning model is fed with training sets to predict the probability of fraud. These datasets are found from historical data. Lastly, we build models as an essential step in predicting the fraud or anomaly in the data sets. By comparing each transaction against account history, machine learning algorithms are able to assess the likelihood of a transaction being fraudulent. AI Fraud Detection System examines how a specific account is used over time to detect normal and abnormal shopping spending behaviors. In doing so, it leverages account information like customer value segmentation, risk profiling, location, merchant, device data, time of day, and type of purchase made. Scalability. The ability to scale to billions of Payment transactions. We process all major credit card payments from anywhere in the world, on any device, of any volume, at any time. The ability to use Graph/link networks to identify relationships. Performance. Rapid response for acceptance/rejection of the transaction. It takes our technology less than 10 ms to decide whether a transaction is fraudulent or not. Transparency. We will provide a detailed explanation for every decision we make. Web Interface. Use our dashboard to gain detailed information on your customer’s behavior, monitor transaction decisions and generate live reports.